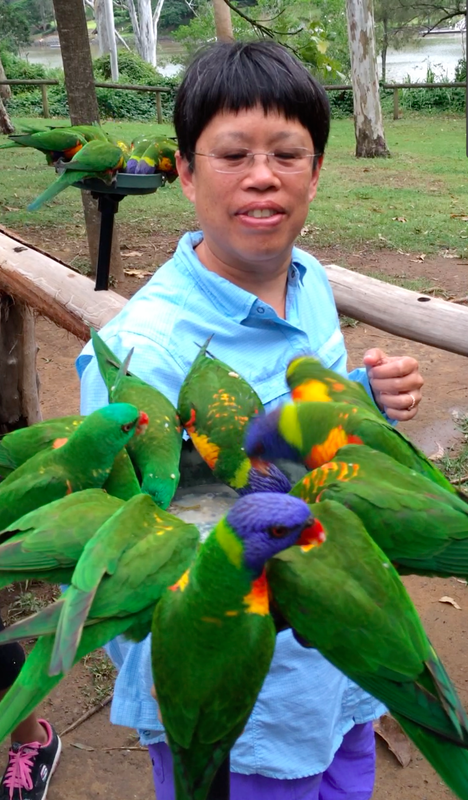 In Queensland I visited Townsville and Brisbane. Townsville is in the tropics by Australia’s famous Great Barrier Reef. 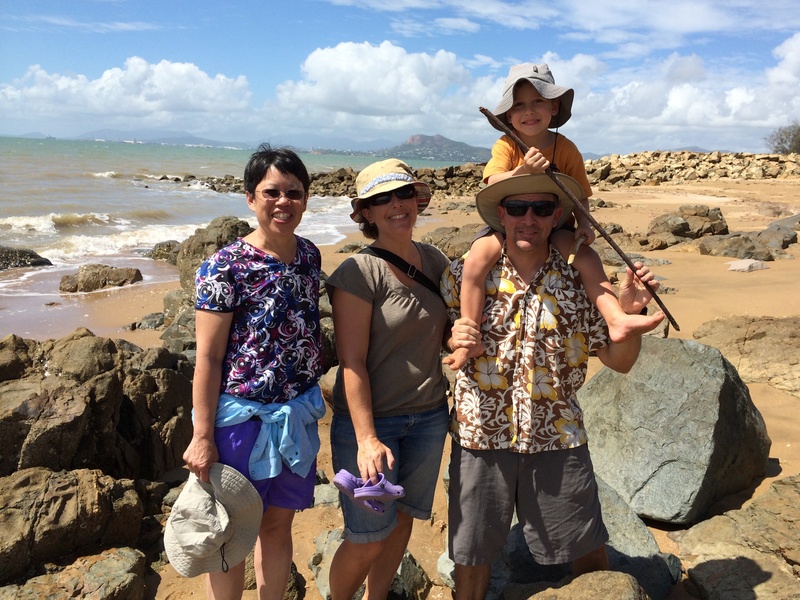 My host in Townsville, Dr. Eric Roberts (my former Ph.D. student, and current senior lecturer at James Cook University), took us to Cape Pallarenda where we looked at outcrops of Permian volcanic conglomerates, and modern beach pumice from recent eruptions near New Zealand. 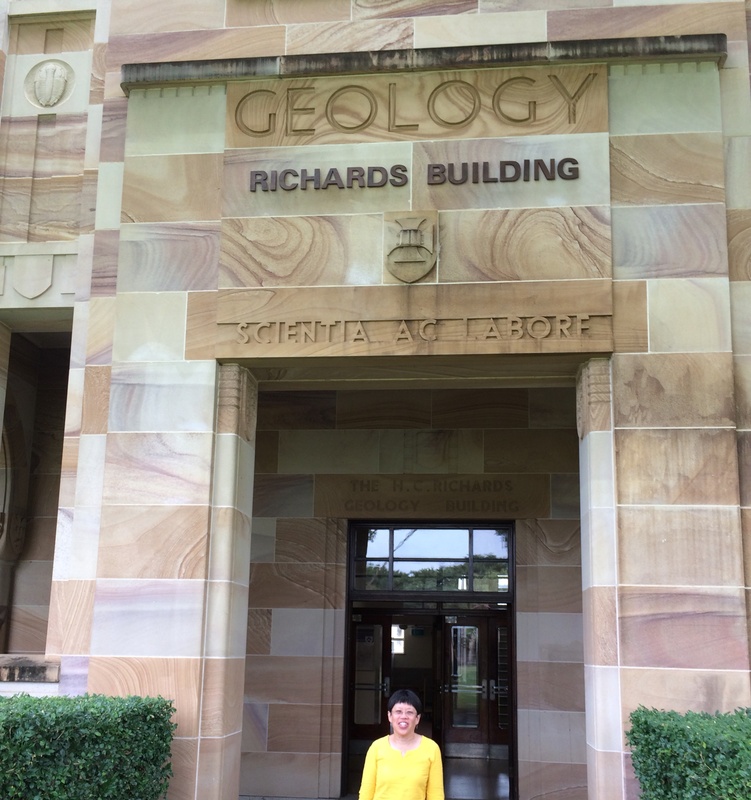 I gave a talk in the Department and also for the Geological Society of Australia Queensland division, co-sponsored by EGRC – Economic Geology Research Centre. 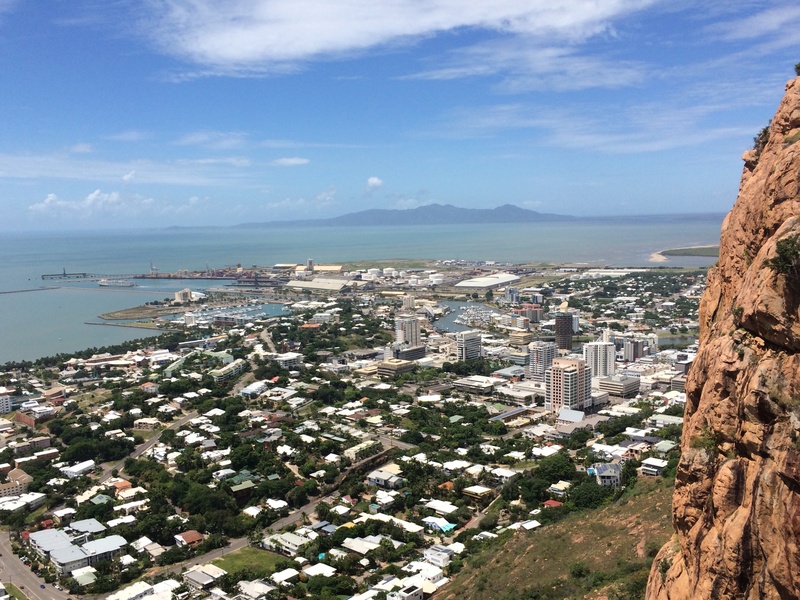 There are great views of Townsville, Queensland from Castle Hill- a granite monolith. We were at Cape Pallarenda with Dr. Eric Roberts (son Henry and wife Dana). Brisbane is a bustling city surrounding the Brisbane River. We took the CityCat ferry to give a talk at the University of Queensland, a campus with wonderful sandstone buildings. I also gave a public lecture at the Queensland Museum, sponsored by the Geological Society of Australia-Queensland division. 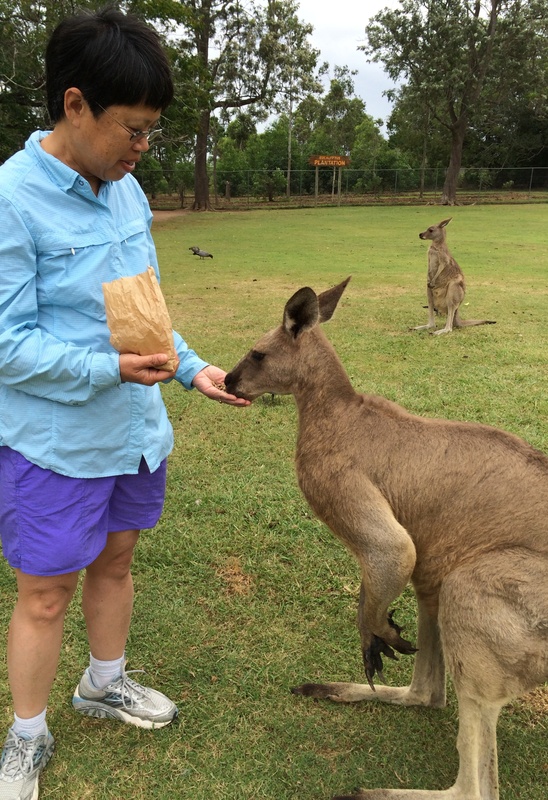 We got in a quick visit to a Koala sanctuary and I finally got to see and feed a roo or two! 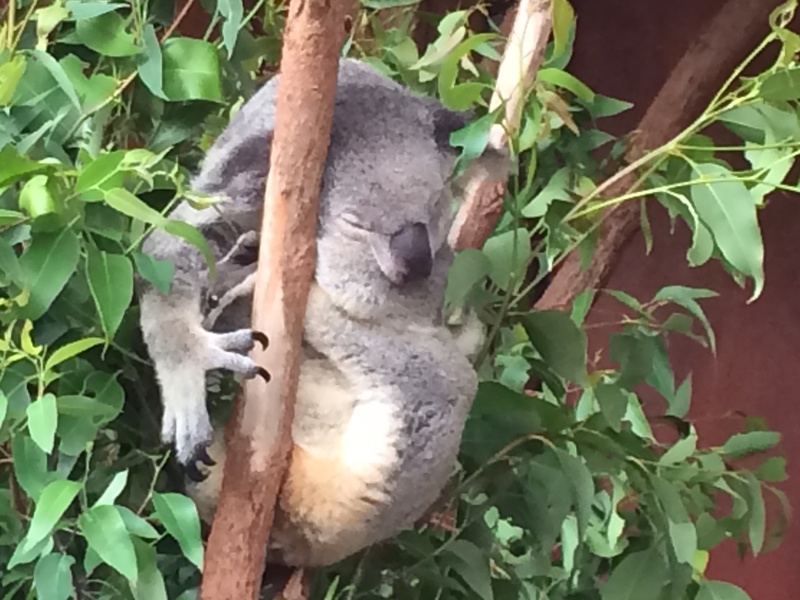 Koalas sleep about 19 hrs/day! 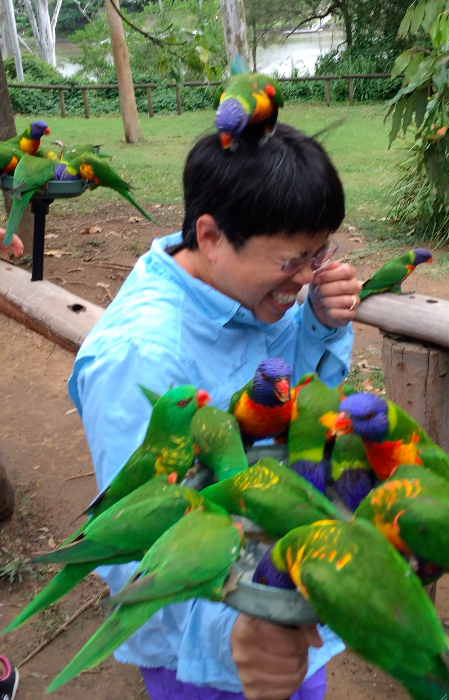 …except for the one on my head!